How do you become successful and consequentially happy in what you are doing? Harvard professor Mr. Shawn Achor conducts research on the happiness of humans and its main drivers. In a TED Talk he explained, «[…] it’s not necessarily the reality that shapes us, but the lens through which your brain views the world that shapes your reality. And if we can change the lens, not only can we change your happiness, we can change every single educational and business outcome at the same time». Our mutual understanding is that we are successful if we work hard, and this rises our happiness level. Mr. Achor wants us to reverse this formula as he found that our brain is 31% more productive if we feel positive because of a hormone produced in a stage of happiness: dopamine. First, it makes us feel even better and second, it increases our cognitive activities. Let me give you an insight on my humble career, that has been consistently influenced by my strive for happiness. After finishing high-school and turning 19 (recently I joined the club of the 30s), I was not at all interested in studying. I joined a team of snowboard instructors in a tiny Swiss village. I felt that being outside and teaching followers who want to improve their snow sport skills was the passion that evoked personal happiness. After four years of working and travelling between the mountainous landscape of Switzerland and the crystal blue water in the Caribbean Sea, my ideas advanced. In autumn 2012, and after three years of academic exchange and terrific student life, I graduated from the HTW Chur and obtained my Bachelor of Science in Tourism. During my studies, I acquired a competence profile with specialist knowledge and a broad understanding of complex business processes with a special focus on the tourism industry. Teaching methods at the HTW Chur attach high importance on practice orientation in both teaching and research. The university provides a very attractive study program that meets a clear need in the labor market and provides access to challenging management tasks not solely in the tourism industry. Afterwards, I worked three years as pricing manager at Lenzerheide Bergbahnen AG and product manager of snow sport products at Lenzerheide Marketing & Support AG. Along the way, I certified as Revenue Manager ECRME. In September 2015, I enrolled in the consecutive part-time master’s degree at the ZHAW School of Management and Law in Winterthur at the end of which I aim to acquire the Master in Business Administration with specialization in marketing. In the meantime, I have been selected for membership in Beta Gamma Sigma in recognition of high scholastic achievement and was recently granted a scholarship from the Hirschmann Foundation to promote my academic career and honor my social engagement. I would like to highlight a specific experience to date: my exchange semesters abroad. Studying abroad is an exceptional experience and opportunity to develop cultural competences and foster an international understanding. Let me list my three reasons why I decided to go abroad. Firstly, the exchange of experiences with people whose believes and values are shaped by a different cultural background is of great importance to me. Secondly, I had the desire to meet new citizens of the world, form friendships and create a global social network. Thirdly, I was aspired to improve my language skills. In my point of view communication is a crucial method to exchange emotions, knowledge and expectations – not only verbally. My first exchange year brought me to Thompson Rivers University in Kamloops, British Columbia (BC) in Canada. When I arrived in Kamloops I was surprised by the setting and the very rural area. But at second glance I discovered the beauty of Kamloops and its overwhelming and boundless possibilities. My second study abroad was at EBAPE FGV in Rio de Janeiro, which according to the Brazilian Ministry of Education is the top-rated business school in Brazil. The marvelous city (cidade maravilhosa) is one of the major economic and cultural hubs of South America. Its residents (cariocas) are famous for their kindness and hospitality. There is so much more to Rio than Copacabana and Christ the Redeemer. It offers a huge variety of lifestyle, culture or nature – a place where people strive for happiness. Soon, I will graduate from the ZHAW. What comes next? Where will I head to? So far, I do not know. The main thing is that I won’t stop striving for happiness. Success will follow. In any shape, at all points. 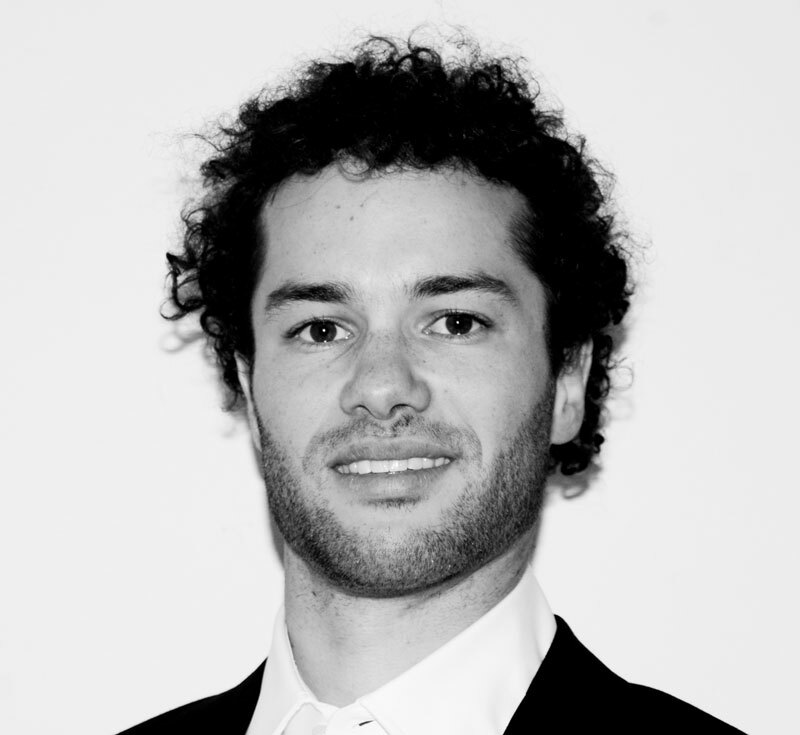 Tobias Cerny is an alumnus of the HTW Chur. He obtained his Bachelor of Science in Tourism in 2012.